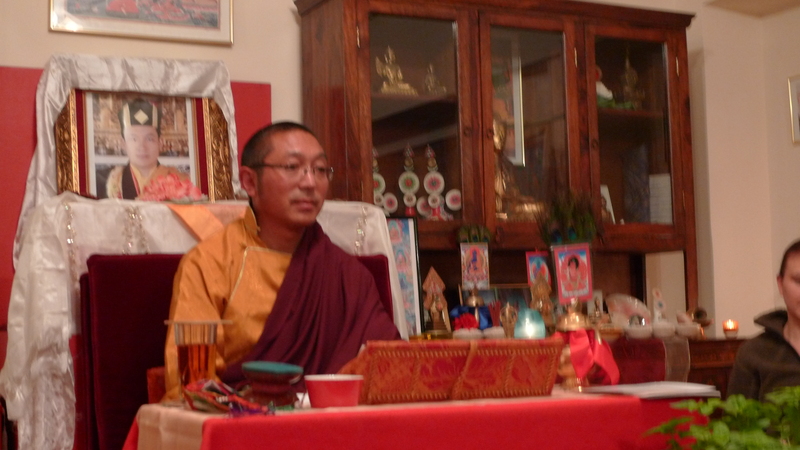 Αρχική › POSTS IN ENGLISH › EVENTS › 5-DAYS COURSE WITH VENERABLE TREHOR LAMA TULKU 7-11/12/2012. Information & registration. 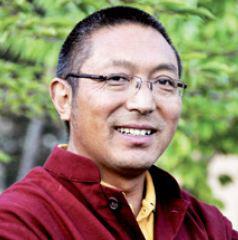 5-DAYS COURSE WITH VENERABLE TREHOR LAMA TULKU 7-11/12/2012. Information & registration. After two years and for the third time, we are again happy to welcome the Venerable Tibetan teacher Lama Trehor Tulku. As before, we will have the opportunity to receive important transmissions from this authentic master of Tibetan Buddhism. The subject of the seminar will be «Positive thinking and auspicious wishes, their power and importance», which is an important teaching based on the text named Sancho Monlam – The Samantabhadra’s Aspiration Prayers which is considered «The King of Wishes of the Noble and Excellent Activity.» It is said that all the Buddhas of the three times (present, past, future) express wishes in the same way. Wishes are associated with the highest awakening and the liberation of all living beings from suffering, the prevalence of peace and harmony, the unimpeded and rapid development of the qualities of enlightenment etc. Detailed explanations will be given and also the oral transmission of speech by recitation of the particular text (Lung). Additionally we will have the excellent opportunity to receive the transmission of the 1000 armed Chenrezig, which is one form of the Bodhisattva of great compassion. Detailed explanations for the practice of Nyoung-Ne, will be given as well, which is a special purification and fasting practice connected to the 1000 armed Chenrezig. A total of three transmissions and practices will be given. Practices that are very beneficial to receive as a Vajrayana practitioner and useful to as a help during difficulties as in these times. Receiving these transmissions one will be able to do these practices and receive great benefit. For these reasons we strongly recommend this course to everyone, regardless of their prior knowledge or experience. Empowerment of the 1000 armed Chenrezig, a meditation aspect of the Bodhisattva of Great compassion Chenrezig that is connected with the tantric practice of fasting and of purification (Nyoung-Ne). Detailed explanation of the fasting practice of Nyoung-Ne, so that each person learns how to later apply the whole form of this practice. * During the seminar, as a parallel event, a festive bazaar will take place. * There will be translation from Tibetan to English and to Greek throughout the whole seminar. * For the empowerment and the detailed explanations of the practice of Nyoung-Ne, «taking refuge» is necessary. Before the initiation, the short process of «refuge ceremony» will be given to those who have not received it yet. * Detailed explanations of the Nyoumg-Ne are given to those who may later wish to perform this practice. 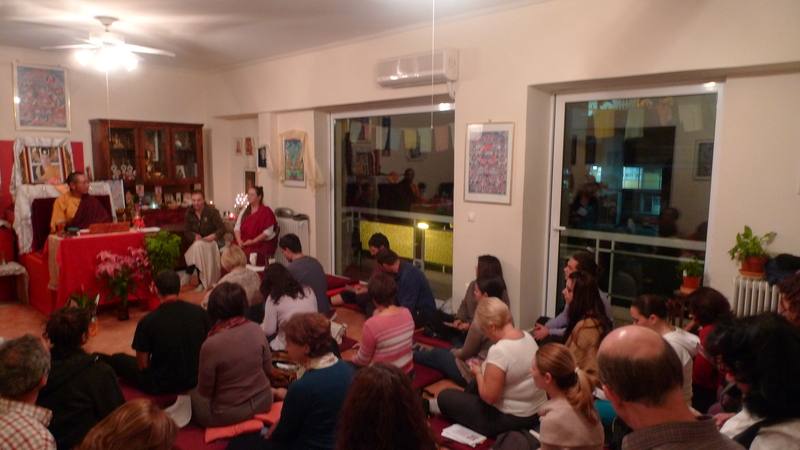 For them it is mandatory to attend all the teachings and the transmission during the course. Since there is no support of a central organization or a steady economical support by sponsors, the contribution of each one of us is very important and indispensible in order to cover all the expenses connected to this event. These include:flight tickets, lodging and food expenses, renting of the hotel facilities, other organization expenses etc. 60€/per person for the entire course when applied and paid off by the 28th of November. 50€/ per person for the entire course for couples and groups over three persons when applied and paid off by the 28th of November. 40€/per person for the entire course for non-employed and students with non employment card, and with student ID when applied and paid off by the 28th of November. 75€/per person for the entire course when applied and paid off after the 29th of November and similarly 60€/per person for couples and groups over three persons and 50€/per person for non-employed and students. 12€/per day for Friday, Monday and Tuesday, 30€/per day for Saturday and 30€ for Nyoung-Ne explanations. The donation to the teachers is separate from the seminar contribution. Teachers and translators don’t really get paid for their precious contribution, but in order to be able to continue their valuable work they very much depend on the generous support of sponsors and students. This is why it is the custom that at the end of the teachings one makes a donation to them as a gesture of gratitude for the priceless teachings and guidance that they offered us. There will be a box in which one can place an envelope with a donation for them before or after the transmissions of the day. At the end of the seminar these donations are offered on behalf of all participants to Rinpoche, the translator and to the lamas attending and helping with their effort. Offerings should be given with true generosity and sincerity, with the understanding that it is though this that such beneficial events can take place in our country, Greece. It is very important to mention that the center is a completely nonprofit organization. The center that organizes the seminar is a Buddhist place of worship, licensed by the Ministry of Religious affairs, that is sustained solely by the donations and the support of its members. The only purpose of the seminar is to give people the possibility to meet and connect with the purest and highest teachings and transmissions of Tibetan Buddhism. We kindly request, all those who will participate in the seminar to register by email, giving their full names, a telephone number (if possible), what part of seminar they will participate and if they have already taken refuge or not. If you have friends that might be interested in this event please forward this message! 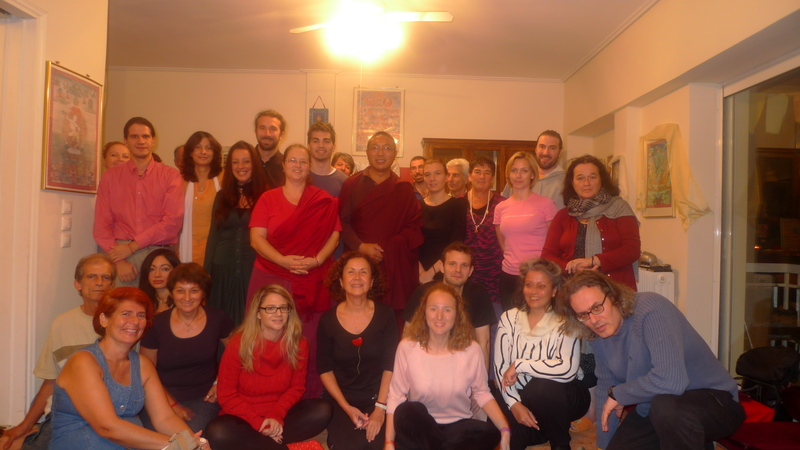 Photo from the previous visit of Lama Trehor in our center, October 2010.